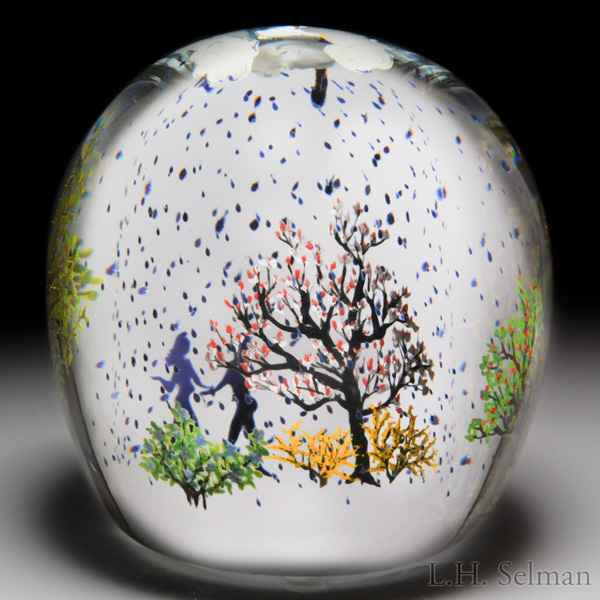 Alison Ruzsa 2016 "Purple Rain" couple chatting under clouds and rain compound paperweight. 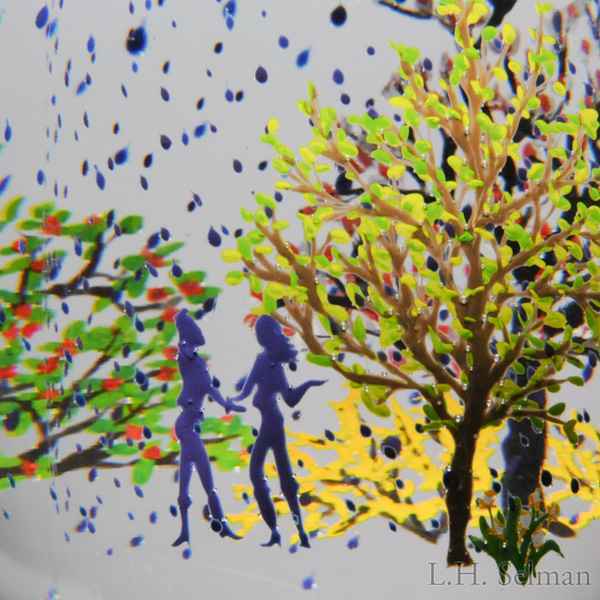 A gregarious couple continuous to banter as three clouds over head drop a sprinkling of rain over them, surrounded by spring trees that bloom in yellow, pink and shades of green. Clear ground. Signed/dated. Diameter 3 3/4".